You've landed in Budapest and the next thing to do is figure out how to get to the city center. I suggest you land with your plan of attack. There are 3 ways to get from the airport to Budapest. Once you get your luggage from baggage claim you will exit and be bombarded with options to get to the city. Depending on your travel group, time, and budget, there is an option for you. Taking a taxi to and from the airport is the most expensive way to get to the city center, but also the fastest. The average cost is from $25-$35 on average. 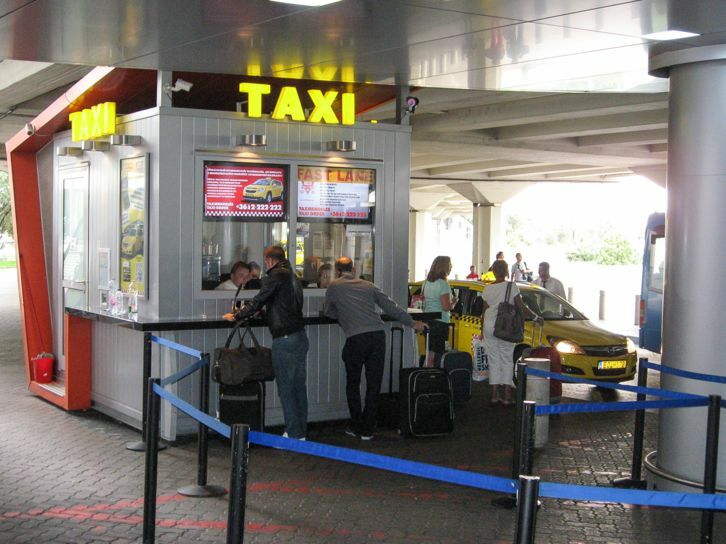 When you land in Budapest there is a taxi stand outside that will allow you to order your taxi from a live person. This is one of the safest ways to ensure that the taxi driver is legal and the cost is guaranteed. Taxis do not charge extra per person, so this option can be cheaper if you are traveling with 2 -4 people. When returning to the Budapest airport from the city center, I use the Bolt app which allows me to schedule my pick up 24 hours in advance. The app is the most trusted because the ride is quoted on the app during set up so there aren't any hidden fees. Take note, if you take the risk of hailing a cab you take the chance of getting charged more because you are a tourist. I don't ever recommend hailing a cab. miniBUD is one of the most trusted shuttle services in Budapest. They pick up on time and if you are traveling alone the cost is the most reasonable for the time it takes to drop off a couple of people on your way. Scheduling your pickup and drop off in advance is the best way to save time. You can book online or through your hotel in most cases. When you land at the airport there is a desk at baggage claim for you to order your shuttle. If you wait until you arrive to order your ride the wait time for a shuttle is usually no more than 30 mins, but the line can be long. I recently had to cancel my miniBUD and they were able to give me a credit for my next trip as there was a change in my flight schedule. I was happy that they honored that and I didn't lose my money! They were unable to give me a refund, but I use there service enough for the credit not to go to waste. 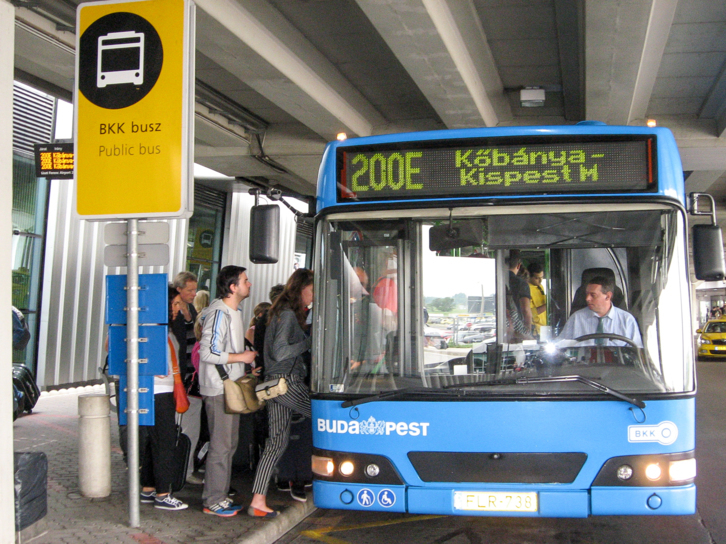 As of 7 July, a direct bus line connecting the airport with the city center was introduced: the front-door 100E takes passengers to Deák tér. It leaves from Deák tér every thirty minutes from 04:00 to 23:30. The first bus leaves from the airport each morning at 05:00, and the last one at 0:30. Bus 100E stops at the BKK bus stop at the airport between the two terminals on the arrival level. Passengers may get off the bus going to Deák tér at Kálvin tér and at Astoria. Bus 100E going to the airport only stops at Kálvin tér, but the first two in the morning will also stop at the Astoria M bus stop. A special ticket must be purchased for bus 100E for HUF 900 – other tickets or season tickets are not valid for this service. OUT OF DATE AS OF July 2017: Public transportation is the cheapest way to get to the city center but it takes a full 1-2 solid hours and also includes a transfer or two depending on where you are coming or going from. I have never personally done it, but I have friends that say it's not that bad, just time consuming. When exiting baggage claim there is a BKK desk where you can buy the two tickets that it will take you to get to the city center. Each ticket is about 1 euro each. You can buy a pack of 10 or opt for day passes. When you exit the airport the bus stop for 200E is located out front. You will be able to transfer to Metro 3 line which will take you to the city center. Just note, you are able to transfer on the Metro when you are underground, but not on any other modes of transportation like the bus, or tram. Download the google maps app to get step by step directions to and from the airport using public transportation. Travel from Budapest International Airport to your Budapest City hotel or Budapest river cruise port. Transfer services are available 24 hours a day, 7 days a week. Travel from your Budapest City hotel to Budapest International Airport. Transfer services are available 24 hours a day, 7 days a week. Which way will you get to the city Center? Once you arrive in budapest be sure to download these apps for a better experience. Budapest is such a magical place around the holidays. Don't let the cold get you down, there are Christmas markets, ice skating and many other things to do to get you in the holiday spirit. Here are the top 5 things to do in Budapest. Is There Uber In Budapest?